First, 3-v-3 soccer will be March 28 and 29 in the activity field south of the Aquatic Center with a captain’s meeting being held at 1 p.m. on March 26 in the OCCC gymnasium. Men’s and women’s divisions are offered, but actual game times are still to be announced. Volleyball will be 12 to 4 p.m. on Tuesdays and Thursdays from April 2 through April 18 in the Wellness Center gymnasium. The captain’s meeting will be at 12 p.m. on April 1 in the gym. Volleyball is a coed event, meaning there is not a gender requirement for teams. 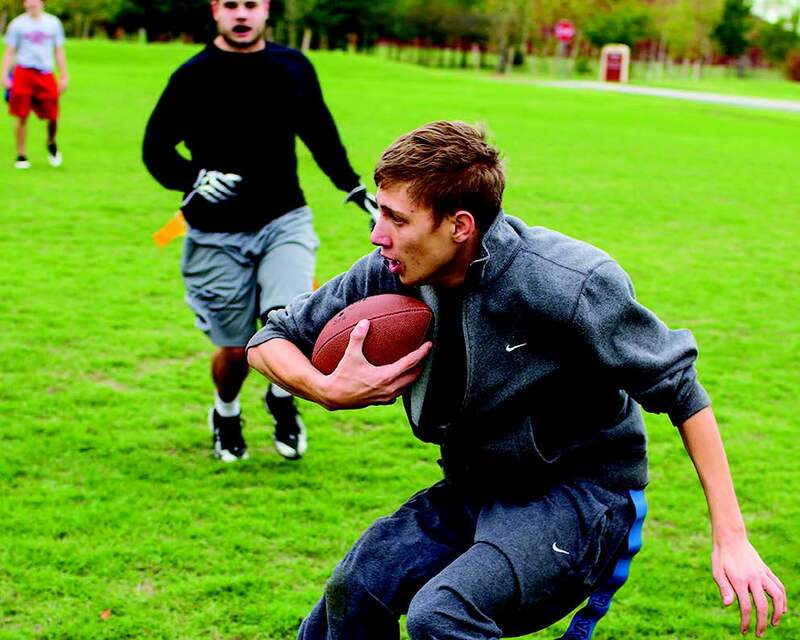 Flag football occurs from 4 to 8 p.m. on Wednesdays starting April 3 and running through April 24 in the south activity field. There are men’s and women’s divisions available, and a captain’s meeting at 1 p.m. on April 1 in the gym. Disc golf is scheduled for April 12 and 13 depending on turnout. No definite time or place has been set as of yet, but check with the Wellness Center for updates. All OCCC students, staff, and faculty are invited to particpate by signing up at www.imleagues.com/occc. There, you can create a team, join a team, or sign up as an individual. Visit www.imleagues.com or stop by the Wellness Center for more information.